Markus Rollbühler is a LEGO product designer based in Billund, Denmark. 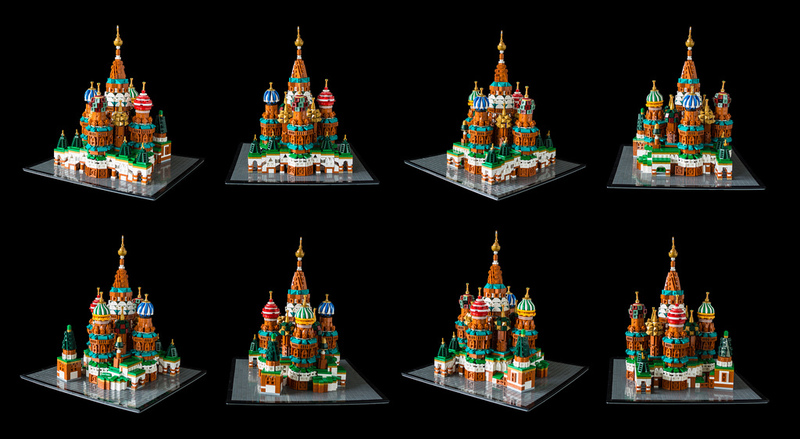 Despite spending his weekdays working with LEGO pieces, Markus challenges himself to build microscale versions of the world’s most famous cathedrals in his spare time. 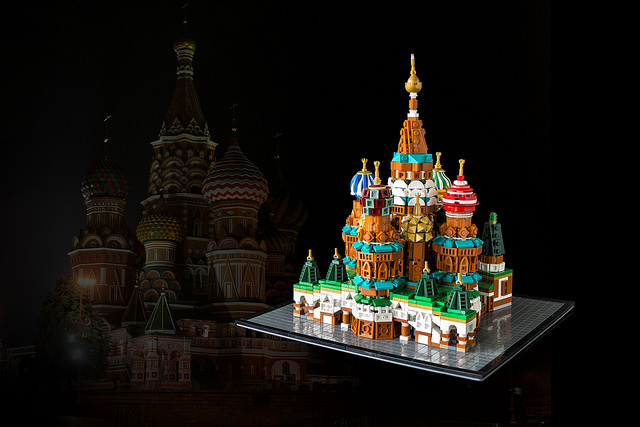 His very special series of architectural masterpieces featuring Frauenkirche Dresden and Santa Maria della Salute is now joined by a marvelous copy of St. Basil’s Cathedral in Moscow, Russia. St. Basil’s Cathedral is famous for its nine chapels of vibrant colors. Markus did an amazing job recreating each of them in a unique building style using bricks, hoses, slopes, and tiles of over a dozen different colors. However, the most genius trick of the build is nine sonic screwdrivers right from Doctor Who sets used as crosses on top of the chapels. And, of course, the cathedral is totally worth checking out from all angles — make sure you visit Markus’ photosream for more high-res pictures!